When you think of oats, you probably think of something sweet, maybe oatmeal with fruit added to it. While that sounds delicious, I heartily encourage you to think savory and try this healthy breakfast dish incorporating oats. You'll be glad you did! Cook onion and pepper strips in olive oil until tender; remove from heat. Heat bone broth until boiling; add oats. Cook for 5 minutes. Stir in cooked onions and peppers; add salt and pepper to taste. Cover pan and set aside. Cook the egg sunny side up using the pan used to cook onions and peppers; once cooked, add salt and pepper to to taste. Spoon hash onto a plate, then arrange avocado slices on top. Place the cooked egg on top of the avocado and enjoy! Selenium, a mineral antioxidant, which protects our body and immune system. Folate, for growth and maintenance of healthy cells. Pantothenic acid (Vitamin B5 ) releases energy from our food for our body to use. Vitamin B12 for brain and nervous system functions and blood formation. Vitamin A, for growth and eye health. Vitamin E, an antioxidant to protect our bodies against disease. Phosphorous, which helps build strong bones and teeth. Iron, to produce hemoglobin, which carries oxygen around our bodies. Thiamine, to turn carbohydrates into energy our body can use. Zinc, which helps in growth, wound healing, blood formation and maintenance of tissues. Vitamin D, which is important for bone health and immune function. Calcium, for building and maintain bones and teeth. Biotin, which helps cell metabolism and the utilization of fats, proteins and carbohydrates. Lutein, which is important for eye health. Sweet peppers are a good source of Vitamin C, Vitamin B6, folate, potassium, copper and manganese. Onions are a good source of dietary fiber, and Vitamin C, B6, folate, calcium potassium, and manganese. They also contain quercetin, a flavonoid and antixoidant. In addition, they contain allicin, a powerful antioxidant with anti-inflammatory properties. Avocados are rich in healthy fats. They are high in fiber and are great sources of in B-vitamins, vitamin K, potassium, copper, vitamin E and vitamin C.
Magnesium is a mineral necessary for proper functioning of the entire body. It is essential for every cell to function and is involved in more than 600 chemical reactions. It is necessary for activating muscles and nerves, creating energy in your body by activating ATP and is essential for the digestion of carbohydrates, fats and protein. It is also a precursor for neurotransmitters, such as serotonin. Research shows only about 25% of US adults are getting the recommended daily amount of magnesium. This may be, in part, due to decreased amounts of magnesium in food grown in the U.S., as a result of certain farming practices, such as over-tilling soil and the use of pesticides and herbicides. Also, certain medications, such as Proton Pump Inhibitors, may also decrease the amount of magnesium available to the body. Gastrointestinal disorders can also impede magnesium absorption, causing deficiency. Calcium and magnesium are antagonists and therefore, excessive amounts of calcium, without the counterbalance of magnesium, can lead to high blood pressure, heart attack, and kidney stones. Magnesium and calcium should be balanced to a 1:! ratio. Also, taking excessive amounts of vitamin D supplements without sufficient amounts of magnesium can lead to vitamin D toxicity and magnesium deficiency. 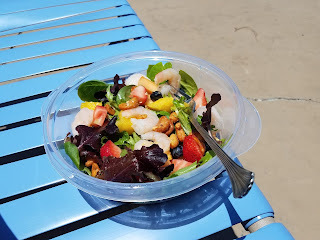 Foods rich in magnesium include dark leafy green vegetables, such as spinach and kale, figs, avocado, bananas, raspberries, nuts, seeds, black beans, chickpeas, kidney beans, peas, broccoli, cabbage, green beans, artichokes, asparagus, brussel sprouts, salmon and tuna. When consuming magnesium-rich foods, choosing organic is always best. Check with your health care practitioner regarding proper dosing before using magnesium supplements. Collagen is the most abundant protein in the body. It’s synthesized mainly from the two amino acids glycine and proline. 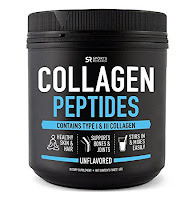 Collagen is found in the bones, muscles tendons, connective tissues,and blood vessels, as well as in the lining of the digestive system. 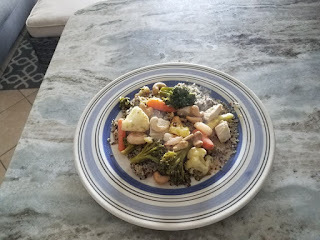 It is also provides the skin with most of it's protein and makes up approximately 33% of the total protein in the body. The body's collagen diminishes with age, causing wrinkles and sagging skin in the later years. Poor nutrition can also diminish collagen production, causing so-called "crepey skin". Low collagen levels also age the bones and joints and causes sluggish intestinal digestion. Adding collagen to your diet has enormous benefits for the health of skin, nails, hair, and joints. It also aids in reducing the appearance of cellulite and stretch marks by improving the skin's elasticity. Collagen is also beneficial for the digestive system and for healing leaky gut. It helps to break down proteins and soothes your gut's lining, healing damaged cell walls and infusing it with healing amino acids. The best type of collagen to use is bovine collagen. It is a naturally occurring protein found in the cartilage and bones of cows and is much like the collagen found in the human body. It also provides types I and III collagen, the key components in your skin, nails, hair, tendons, ligaments, muscles, bones and blood vessels. 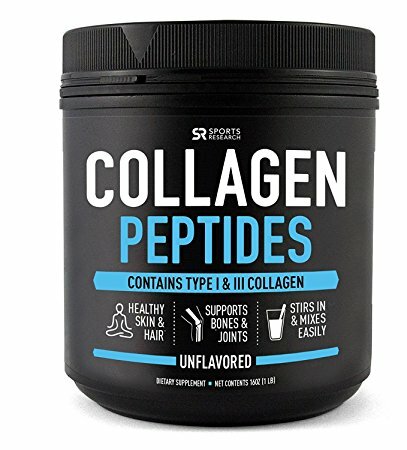 I personally use Pure Collagen Peptide Powder, which I buy on Amazon. I add it to my morning protein shake. It also mixes well with just about any liquid. Collagen should be taken with Vitamin C or foods containing Vitamin C for optimum absorption. Try it and you'll see the amazing benefits in just a few weeks! It seemed like such a long winter! I finally finished my classes in March and am now officially a Master Herbalist. Additionally, my husband studied like crazy and passed both of his certification exams for work. We both really needed to take a vacation, so we did just that a couple of weeks ago. We enjoy dining out while we are on vacation and especially like seafood. However, we try to limit eating out to only a couple of times while we're there. In order to do that, we always make sure our vacation rental has a full kitchen, so we can prepare our meals there the rest of the time. We eat organic and include lots of vegetables, especially leafy greens, as well as fresh fruit, in our daily diet. Protein is also important, so we add chicken, grass-fed beef or fish to the mix, along with healthy gluten-free grains in moderation, such as quinoa and brown rice, Incorporating healthy fats into every meal, such as nuts, avocados and salmon, is always a good choice. I also pack a smoothie blender for morning protein shakes made with fresh fruit, coconut milk and include powdered collagen. In addition to the obvious health benefits, eating in is also easy on the wallet. 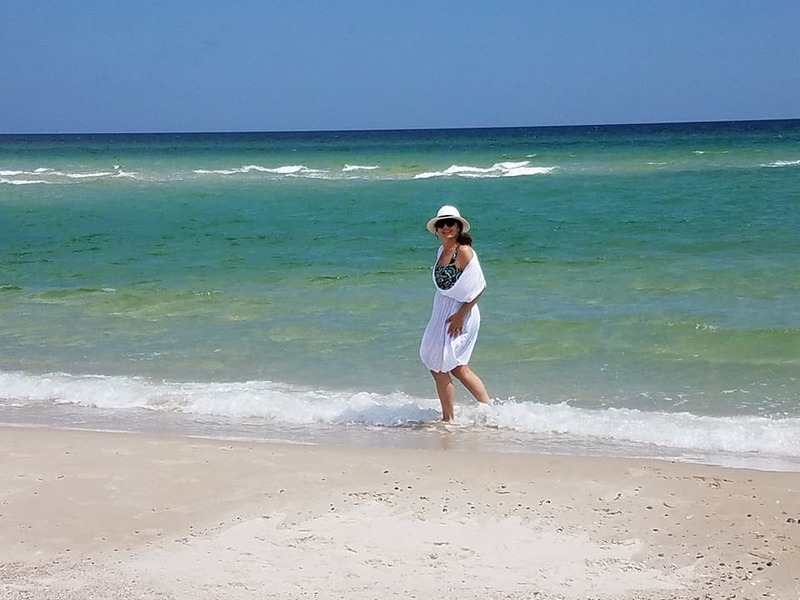 There's nothing like a long stroll on the beach. We make it a point to do this every day while on vacation. We also try to get in some swimming, either in the pool or the ocean. 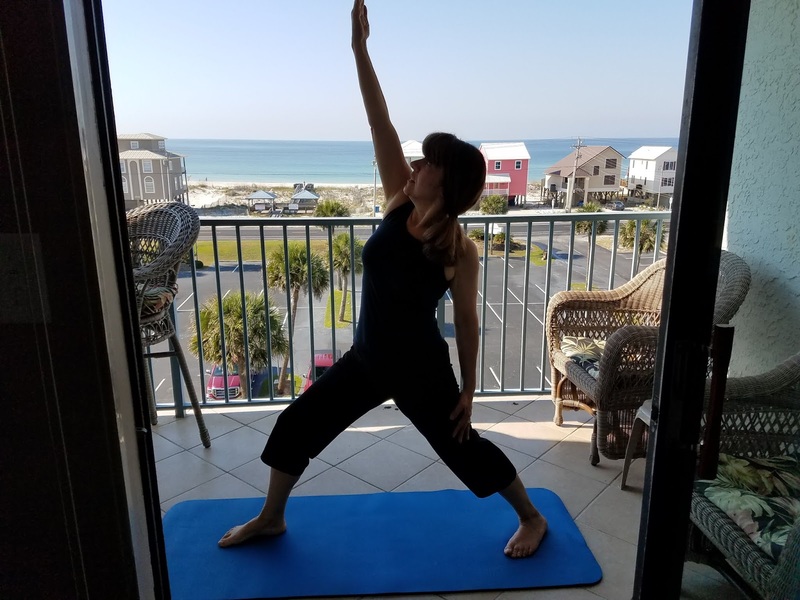 Yoga is another essential daily vacation activity. I make sure to pack my mat and a few good yoga DVD's when we travel. My favorites are from the series Namaste Yoga. 3. Avoid getting a sunburn. 20 minutes of unprotected sun exposure is good for a daily dose of Vitamin D. However, any longer than that increases the risk for skin cancer. 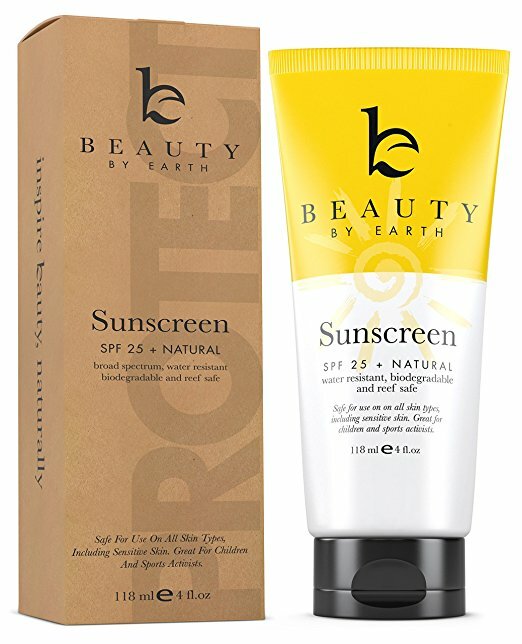 We avoid chemical sunscreens and instead use products containing zinc oxide, such as Beauty by Earth's Mineral Sunscreen. 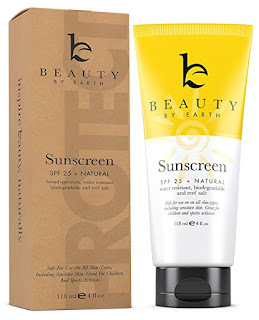 It has an SPF 25 and is nontoxic. 4. Maintain a consistent sleep/wake pattern. It's that time of year again--time to start our vegetable and herb seedlings in the greenhouse. Regarding our greenhouse, while we were still living in Massachusetts, we purchased an inexpensive one. Fortunately, we procrastinated about putting it together there, so it was still in its original box when we moved here. Once erected, it appeared to be a bit on the flimsy side, and we were concerned it would not withstand the high winds we typically get here. Rather than investing in something sturdier, as crazy as it may sound, we decided to try reinforcing every seam on the greenhouse with heavy duty, all weather duct tape. We applied it on both the inside and outside seams, It took us three days to complete, but it definitely did the trick! We arranged two folding tables against the walls inside the greenhouse and covered them with plastic sheeting. Next it was time to arrange the seed containers on the tables. To save money, we purchased some inexpensive plastic containers, rather than using disposable ones we would have to replace yearly. My husband drilled holes in the bottom of each container for drainage. We also had several flower planter boxes in one of the sheds To save money and also to minimize any transplant shock, he mixed some composted soil from the garden with some organic potting soil (1:1) and filled each container. He then drew a diagram of each tabletop and labeled each container in the diagram with what was to be planted in it. Using my husband's diagram, we labeled each container and began the process of planting the seeds,. Before planting, we carefully moistened the soil a bit. Using my husband's sharp instrument of choice (a letter opener), we made holes for each seed, adhering to the depth recommendation on the seed packets. After covering the seeds with soil, we watered each planter well after planting the seeds. We typically buy organic heirloom seeds, so we can save seeds from the vegetables to plant the following growing season. This year, we planted three varieties of tomatoes, cucumbers, eggplant, carrots, celery, romaine lettuce, zucchini squash, crooked neck squash, Waltham squash, pumpkins, onions, peas, and green beans. Sweet potatoes, corn and red potatoes will be direct-sown in the garden. We will also plant a variety of medicinal herbs in a second garden. We always make sure to save the seed packets, as they contain plant spacing information for transplanting in the garden. Every morning, my husband waters each container in the greenhouse. In the evening he turns on a space heater in the greenhouse, which he turns off in the morning. It's so exciting to see the plants peeping through the soil in the containers! We're definitely looking forward to planting season, which is usually around the second week of May here in the mountains. 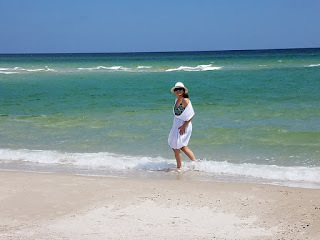 When we moved here almost two years ago, due to my health issues, our income was reduced dramatically. 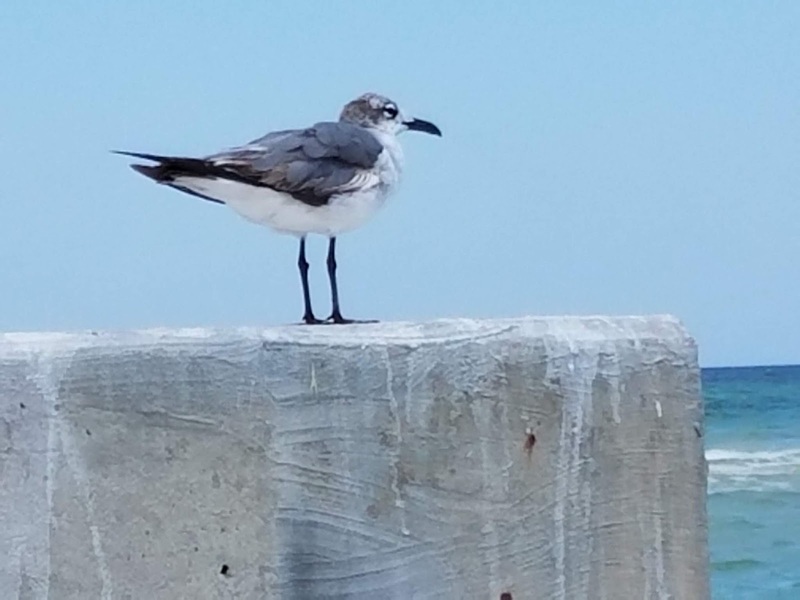 My husband took an early retirement, so his pension was not what it could have been if he had waited another eight years, which was our original plan. However, our plans are not always God's plans, and I am fully convinced He has a reason for everything. We knew immediately we needed to trust Him to take care of our financial needs. In addition to having faith that God would provide, we knew our lifestyle would change with the reduction of income. In order to be able to get our small farm up and running, we had to make a commitment to debt-free living, including not having a mortgage. This meant a fixer-upper rehab on a budget, along with doing most of the work ourselves. Living debt-free has required a change of thinking on my part. When I had my web design business, if I wanted something new for our home, I just went out and bought it. Now I have to be more thoughtful about my purchases. I am learning that I can't have all the things that I want. My biggest weakness, in terms of spending, is that I love decorating and all things home. I have been an HGTV junkie for a number of years. When we first moved here, due to my EMF sensitivity, I couldn't tolerate having a television in the house, so we were without one for quite sometime. As my health improved, I am now able to tolerate watching a small television,. Most recently, I started watching HGTV again I find myself drooling over some of the home makeover shows. Lately I have found myself looking at our home more critically. I have definitely noticed a difference in my attitude of contentment now than when I wasn't able to watch television. God has shown me through scripture that if I continue down this path of discontentment, I will eventually pierce myself with many griefs, as 1 Timothy 6:10 suggests. After giving it some thought, I know we made the right decision to paint the dark wood paneling in our home, rather than replace it. I am content with the laminate floors and countertops, which do look nice. Our home doesn't have to be an HGTV show house. When I go to bed at night, I can sleep peacefully knowing we do not have credit card balances as a result of our home rehab. I am content with our new home in the country and appreciate God's loving guidance through His Word. Linking up with Charlotte at Spiritual Sundays. This homemade granola is a staple at our house. It's filled with healthy fats and is lower in sugar than commercially-prepared granola, plus it smells wonderful while it's baking in the oven! We enjoy it as a sundae topping using iced coconut milk, along with organic maple syrup. Preheat oven to 325° F Line a large cookie sheet with parchment paper. In a large bowl, combine the above ingredients, EXCEPT the dried fruit. Transfer mixture to cookie sheet and bake in oven for 20 minutes. Turn granola with spatula and bake for an additional 15 minutes. Allow to cool completely before adding dried fruit. Store in an airtight container. These make great DIY gifts; simply add to a canning jar and decorate top with fabric, ribbon and a label. We left the hustle and bustle of city life in the Boston area and relocated to a small farm in the mountains of WV. We homestead and raise organic vegetables and medicinal herbs. John is a Civil/Environmental Engineer currently employed as a Stormwater Compliance Specialist. Jane is a Holistic Nutritional Counselor and Master Herbalist who specializes in helping those with EMF and chemical sensitivities. This website does contain endorsements, reviews, and affiliate links for products and services. That means that when you click on a link that we mention or recommend, we may receive a commission. The compensation received helps fund our blog.